Selby served his country as a medic during World War II. He was very nearly, but not quite, “old navy.” Although never particularly observant, he was one of the Tribe. He was a young Jewish Englishman serving his country and their allies in a fight against international fascism. That the Germans were using his people as an alibi for their nationalistic ambitions just made the situation more poignant. 1969 was a pivotal year for Selby. That year, he made his first trip to the United States. Although he knew many of the men in London’s Hyde Park scene through outfitting them, he had never, until this time, had an actual S/m experience himself. He recounts: “when I visited San Francisco, that changed dramatically.” He was picked up and schooled by “a very pushy bottom” a boy in a tight leather jacket and tight jeans: a very American boy. The men of Hyde Park looked like Masters of the hunt; this boy typified a different look, one drawn from post-WWII American motorcycle culture and popularized by Hollywood via Brando and his gang. Selby was introduced to the rubber scene during a business trip to New York City. The president of the 5 Senses Club asked him if he thought there would be interest in a similar organization in England. Back across the pond, he placed a small ad in the Gay News, and soon the group that would become the Rubber Man’s Club was meeting. Nearly four decades later, they are still active. During most of the 1970s, Selby lived an intercontinental lifestyle. He traveled between London and San Francisco, mostly, but business took him to many world-class cities, and he was always welcomed warmly by the local leather communities. As business grew, he and Jacklin opened their own small factory, then their own retail outlet in Wandsworth, South London. They called it “Leather Unlimited” and it quickly became a de facto community center, with the seminal tattoo artist Alan Oversby (Mr. Sebastian) opening a tattoo and piercing salon in the basement of the building. In 1979, Selby and Jacklin moved from London to San Francisco, bringing their business with them. Harvey Milk, who had died the year before, had been known as “The Mayor of Castro Street.” Selby was to become known as “The Mayor of Folsom Street.” Mr. S. Leather opened shop on 7th Street in San Francisco on June 17, 1979. Like its earlier London incarnation, the SOMA shop operated as an informal community center for the active Leather community South of Market. It was at this original Mr. S. outlet that many of the products now taken for granted were developed, including Shaft lubricants and the shower shot. An early rubber CBT device was called “the Stallion Guard” as a tribute to its origins as a racetrack prophylactic. According to Selby, “the actual item, which is used in England, is inserted into the mare during the racing season, so that the stallions cannot enter them, and so make them pregnant.” He also made contacts, friends and colleagues in the fashion and performing worlds, and he and Jacklin did custom work to specifications, providing leather bustiers for Vivienne Westwood, and stage outfits for Judas Priest. In 1980, the release of the movie Cruising brought the underground world of leathersex to the attention of a mass audience. Masculine images were already in vogue in gay mens’ circles, and the new popularity of the leather “look” confused a lot of players. Until that time, those styles had been associated with alternative sexualities. In San Francisco, that moment of uncertainty produced a club that is still in existence 33 years later. Selby was at the first meeting of The 15 Association, and although never particularly active, was eventually made a lifetime honorary member. When the AIDS crisis hit the City in the 1980s, Peter Jacklin became sick. After he died, Selby refocused his attention. Eventually, he sold the business to community member Richard Hunter. Mr. S. still exists, and has since become yet another icon of Leather. Selby threw himself headlong into fighting the plague and supporting its victims. He buried three special boys: After Peter came Bill Gray and then, in 1992, Johnnie Garcia. Through his work with the AIDS Emergency Fund, Selby raised over a million dollars for PWAs. This was direct assistance: electricity bills were paid, the gas stayed on and food came. For over twenty years, he volunteered at San Francisco General Hospital’s infamous ward 5B: holding the hands and massaging the pain-wracked bodies of the mostly young and often abandoned men who filled those beds. He served on the Godfather Fund, and devoted countless hours to more organizations and individuals than can be listed here. He was proud to have been of service to leatherwomen as well as men, heterosexual as well as gay perverts. 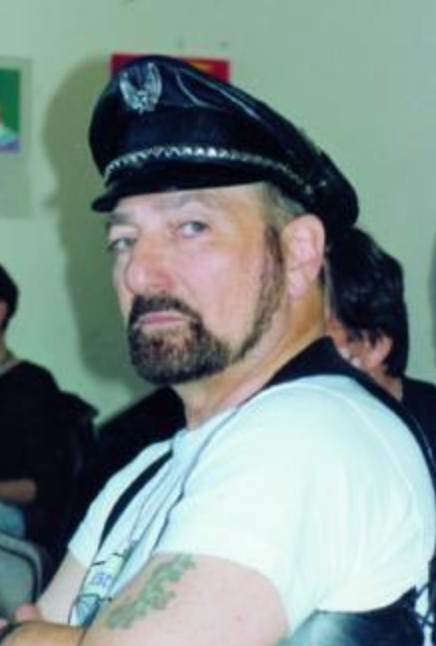 He served on the International Ms. Leather board at their inception, and was later named an Honorary Dyke by the San Francisco Womens’ Motorcycle Contingent, better known as “Dykes on Bikes.” He was a regular guest speaker in Human Sexuality at San Francisco State University. He would take his toy bag, enlist a graduate student to carry it across campus, and give very popular “show-n-tell” talks in the Psychology department. In 1999, he was invited to be on the steering committee for the newly-formed Leathermens’ Discussion Group. In 2000, the Selby Fund at the Chicago-based Leather Archives and Museum was named in his honor. In 2002, he was named “Leather Marshall” for SF Pride. By 2003, the COPD Selby had lived with for years was wearing on him. He was sick, though not many people knew. He explained that he planned to live life fully until close to the end and that when he went it would be fast. He knew when he was going to go, and that is when he went, with no assistance. He said “I think I will go the Sunday after the AEF Gala. I do want to go to my last Gala.” And he did. Selby died quietly at home surrounded by loved ones in May, 2004, and was memorialized two weeks later in a packed celebration of life at the San Francisco Eagle.